Please select a link above for the country you wish your order to be delivered to. 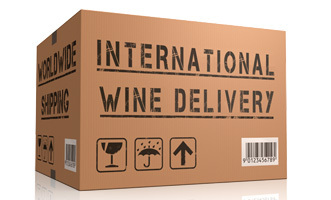 We delivery the wines we sell to over 40 countries and have delivered over 18,000 cases of New Zealand wine since 2005. Our hassle free service ensures your wine reaches you in perfect condition by air freight. Order with confidence knowing that delivery is guaranteed. Click here for information about courier delivery within New Zealand.